The middle market private equity space has been on a tear. The U.S. private equity middle market finished 2017 with a record $338 billion in deal value and 2,381 deals closed, according to Pitchbook. First quarter results continue to show transaction count rising, although total deal value dropped 40 percent on a quarter-to-quarter basis. Although it is far too early to understand its significance, the downturn in deal value does highlight underlying trends that lenders to middle market private equity firms have been tracking for some time and that have slowly but surely changed the nature of the deals being presented to them. Driving these trends is the long-running popularity of the middle market. During the last three years, middle market private equity firms have raised between $125-130 billion annually, and they are not the only entities attracted by the promise of small, growth companies. Large corporations, fundless sponsors, family offices, and other direct purchasers have all joined the hunt. Simply put, there is more competition and more dry powder than ever. At the same time, debt continues to remain attractive and abundant. The result: valuations for attractive companies have risen substantially. According to Pitchbook, median valuations rose to 10.4 times EBITDA in 2017 and median debt for those deals reached 5.6 times EBITDA, the highest in a decade. Given the supply-demand imbalance in the lending arena, higher leverage is also generally coming with looser lending terms. In response to surging valuations, many middle market private equity firms have modified their approach, turning to value-creation strategies even though these typically require more hands-on involvement and more capital. As part of this focus, they are applying data analytics to uncover companies that may have slipped under their competitors’ radars. They are considering companies that require more active management. And—as the first quarter data reveals—they are focusing on smaller companies with greater growth potential. In these circumstances, their efforts to build capacity and accelerate growth have altered the deal mix that lenders see. Increasingly, private equity-backed middle market companies are looking to finance add-on acquisitions. Tuck-in acquisitions now account for more than two thirds of all buyouts in the United States and are particularly common in such fragmented markets as healthcare and energy. In essence, middle market private equity investors now view their initial purchase as a platform rather than as a self-contained investment. Pitchbook analysts found that nearly 30 percent of portfolio companies now complete at least one add-on acquisition, a 10-point increase from the early 2000s. Typically these tuck-in acquisitions come at lower purchase multiples, averaging down the combined company asset purchase price. Many of these tuck-in acquisitions are being debt financed through delayed draw term loans and/or incremental facilities structured into the initial credit documentation. In addition to add-on acquisitions, lenders have also seen an increase in refinancing and dividend deals. Thanks to the shift towards value-creation strategies, hold times—expected to reach 5.3 years in 2018—are much higher than they were a decade ago, according to Pitchbook. In fact, the added time it takes to acquire and integrate an add-on extends the median time to exit for platform companies by a year, compared to companies that have not undertaken an add-on. The longer time-to-exit means that middle market private equity-backed companies have the occasion to refinance, either to achieve better terms or to extend maturity. And in cases of middle market companies that are generating significant cashflow, dividend deals enable sponsors to take out equity without having to wait for an exit. The shift to value creation foregrounds the characteristic set of qualities that distinguish middle market lenders from those who work with larger companies. Given the higher level of risk and uncertainty associated with smaller companies, a high level of experience is absolutely essential for making prudent lending decisions as well as crafting deals that conform to clients’ specialized circumstances. This experience reveals itself in several ways. Having gone through a number of economic cycles with their middle market clients, experienced lenders can bring the long view to the conversation. They understand the risks and can propose financing solutions most appropriate to a given stage in the cycle and geared to specific company cash flow characteristics. This experience also manifests itself in domain knowledge. While business models across many sectors are relatively uniform, there are some verticals in which domain knowledge is essential, either because the verticals are highly regulated, such as healthcare or government contracting, they are undergoing rapid change, such as technology, media, and telecom, or they are highly complex such as energy. Middle market lenders often carve out expertise in specialty markets. In addition, given the speed and certainty that middle market finance demands, lenders must be experienced in the mechanics of deal flow. The best middle market lenders tend to conduct their due diligence upfront, allowing them to deliver a quick “no” if the situation requires and underwrite quickly if they commit. Given the diversity of middle market companies and the need to handcraft financing solutions to fit individual requirements, middle market lenders must also have a wide range of products at their disposal. 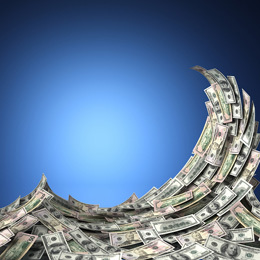 Revolving lines of credit, cash flow loans, stretch senior loans, second lien loans, delayed draw term loans, asset-backed loans, as well as capital market solutions are all common in the middle market. The more products it offers, the more valuable the middle market lender. The shift to value-creation strategies and the growing use of add-on acquisitions has brought to the fore a relatively new vehicle: unitranche financing. According to Pitchbook, more than 25 percent of add-ons are being acquired by platforms with at least five total add-on deals. While large companies can absorb the complexity of tiered loan structures, middle market companies, with their limited resources, find them more cumbersome. It can be time-consuming for middle market companies and sponsors pursuing a buy-and-build strategy to repeatedly go back to lenders for additional financing. By combining senior and junior debt into a hybrid loan structure with attractive pricing and flexible terms, unitranche makes it much easier for platforms to make tuck-in acquisitions as opportunities arise. Middle market lenders that can combine a unitranche product with a range of traditional financing solutions (including revolving credit facilities, delayed draw term loans and cash management, to name a few) are particularly desirable partners to sponsors. Perhaps the defining characteristic of middle market lenders, compared to counterparts catering to larger businesses, is their emphasis on the relationship. Large-enterprise lenders tend not to hold company debt for the long term, focusing instead on distributing risk through syndication and high-yield bonds. The mindset in the middle market is very different. Although they might recruit club partners for a deal, middle market lenders typically retain a piece of the debt. This financial interest means that middle market lenders have a stake in continuing their relationships with borrowers after closing, for the term of the loan and often beyond. In essence, these lenders want to be good partners because they think of themselves as investing alongside the sponsor. The private equity middle market continues to evolve, and so does middle market lending. Thanks to the ample liquidity in the market, debt multiples are continuing to rise to meet increases in valuation caused by heightened competition for the best deals. At the same time, covenant-lite financing, traditionally used in the broader syndicated loan market, has made its appearance in the sponsor/middle market world. But no matter how the middle market evolves, there remain compelling advantages for private equity to work with established specialists in middle market lending who offer a full range of financing options and, most of all, a commitment to building mutually beneficial relationships. Stephanie Perry is a Managing Director for Capital One’s Financial Sponsors Group, a leading provider of financing, banking and capital markets services to the middle market private equity sponsor community. With more than 20 years of private equity and investment banking experience, Stephanie focuses on developing and maintaining relationships with private equity firms and originating and evaluating new lending opportunities.